Smiflexi range of automatic packers provides the end user all the technical and functional specifications required to manage production cycles efficiently and economically and to enable quick switch from one format to another. Among the new opportunities offered by Smiflexi division there is the innovative Easy-Load cardboard blanks magazine, an accessory device (available both for the wrap-around case packers of the WP series and the heat-shrinkwrappers of the SK series) which features considerable advantages from an operating and functional point of view. With Easy-Load the operator can easily load cardboard blanks - stacked horizontally in uniform groups - because the feeding belt of the magazine is positoned at the same working height as the packer's infeed belt, rather than under it. The innovative solution devised by SMI eliminates the disadvantages related to the manual loading of the cardboard blanks magazine, which force the operator to bend his/her body continuously to place the blanks in the bottom part of the machine. 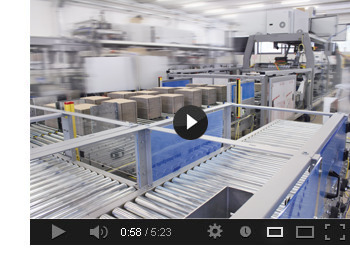 The operator just places the cardboard blank stacks on the outermost roller conveyor so that the automatic control system can perform all the subsequent steps. Thanks to specific sensors, the layout and feed of the cardboard blanks on the conveyor belts fitted with the motorized roller and their loading into the packer's magazine is, in fact, fully automated. Moreover, with the innovative Easy-Load system, even the unloading of the cardboard blanks is performed automatically, after processing a certain format, through a series of steps carried out in reverse order as compared to the loading steps. The technology used in the Easy-Load magazine also features the great advantage of ensuring fluid and constant picking operations with a wide range of cardboard blanks having a thickness between 0.5 mm and 5 mm. 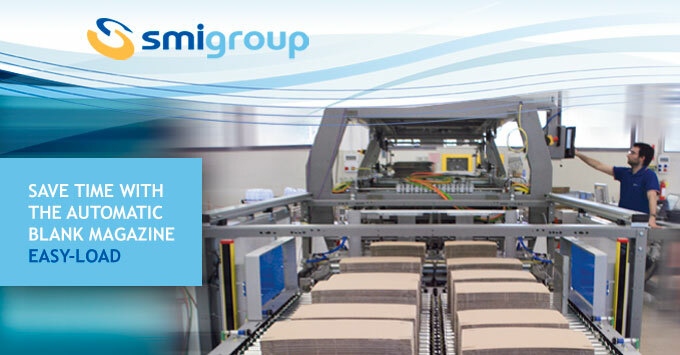 If you would like to get further information on newer packaging solutions by SMI, please feel free to get in contact with our sales department or to send an e-mail to info@smigroup.it.